Congratulations to Justin Kelly, winner of the $500 Visa Gift card. Justin participated in our Labor Day Wildlife sale last weekend. 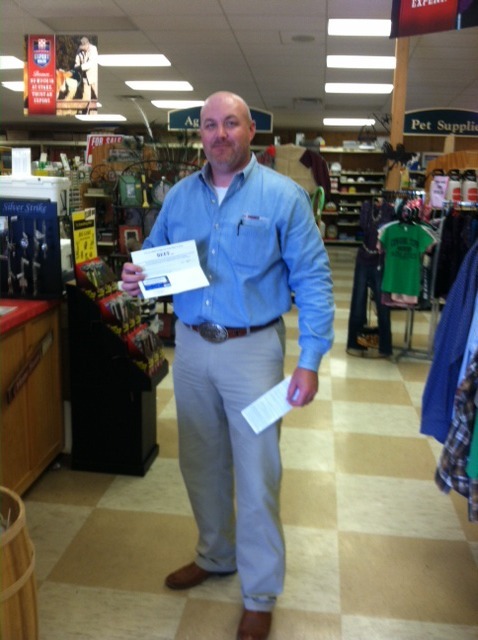 He saved on deer corn & hunting supplies and walked away with the grand prize! Thanks to everyone who stopped by, everyone is a winner with savings! This entry was posted on Friday, September 6th, 2013 at 7:03 pm	and is filed under News & Updates. You can follow any responses to this entry through the RSS 2.0 feed. Both comments and pings are currently closed.